Be sure that when a dog attacks a person somewhere, to this news, with a 90% chance of attaching a photo or a picture of a pit bull, even if a poodle actually attacked. Pitbull owners often encounter a negative reaction from passersby to a dog. However, a hostile person is a person who has not had experience with such a breed, whose ideas are based on prejudice. Fortunately, there are fewer such people. Breed is gaining popularity. 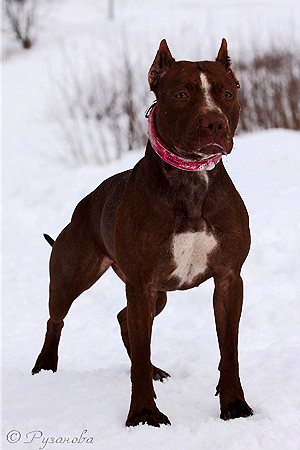 Groups about dogs in social networks put a pit bull on ava as one of the best representatives of the subspecies. The word “pit bull” in translation means “fighting bull”. The breed is derived from the crossing of bulldogs with terriers. 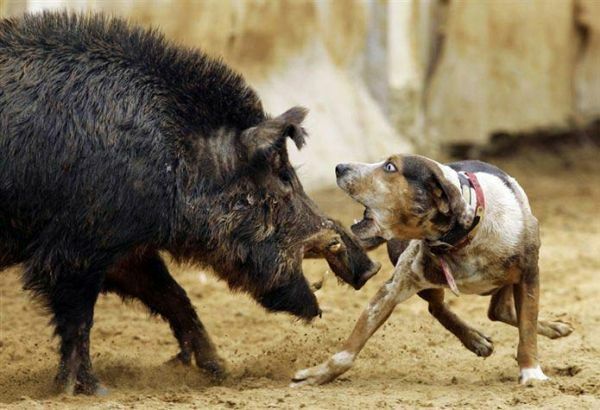 Previously, bulldogs were used to slaughter bulls. While the owner was engaged in business, the dog hung on the victim, thereby distracting her. But the powerful artiodactyl was fighting off a dog, and often clumsy bulldogs died. Then the idea arose to cross this breed with active terriers, as a result of which a new species could evade the hoofs of bulls. No sooner said than done, the first pit bull terrier appeared in 19th century England. The dog turned out strong, fast, hardy and soon began to be used in dog fights. In this role, she played a very impressive, which led to the growing popularity of pit bulls. The breed was exported abroad, and soon it was distributed in many countries. External signs of pit bulls are not strictly regulated. Their weight usually ranges from 20 to 30 kg, but there are individuals that reach 50 kg. Pit bull’s color can be any other than merle. Heterochromia and blue eyes are considered a defect. But puppies often have blue eyes, with age they will change shade. The pit bull has long ears. At the request of the owner they are cut and put. The tail is not docked. Life expectancy is 10–12 years. Often the pit bull terrier is confused with the American Staffordshire terrier. These breeds are really very similar. Staffords were displayed as a decorative branch of pits. 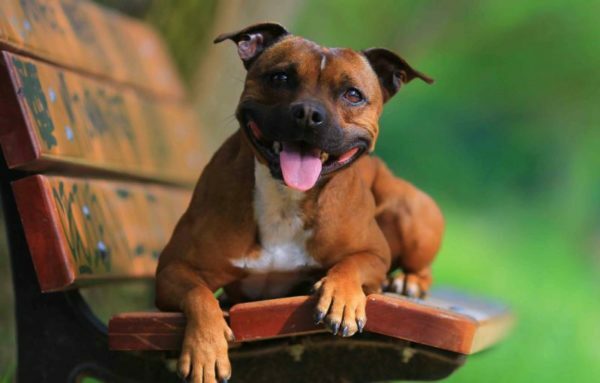 Currently, the Staffordshire Terrier is an officially recognized breed, but you can often find pit bulls in their shows. 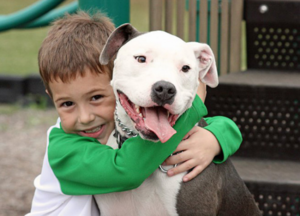 Pit bulls are usually good for children. But if Pete has lived with you for quite a long time as a pet, the appearance of a baby in the house and the restriction of pet’s permissiveness may cause jealousy towards the owner. To prevent this, it should be remembered that the dog, no matter how much you love it, should know its place in the house. You can not feed the pet from the table, allowed to sleep in your bed and be moved by pranks. All violations of the prohibitions must be strictly stopped, the leader in the family should be a person, not a dog. The attitude of the American Pit Bull Terrier to the children. It is not necessary to think that because of this, the pet will love you less. On the contrary, he will feel a strong hand and will gladly obey his master. Just do not confuse severity with cruelty. A dog can be slapped for offense, but no more. If you follow all the recommendations, the pit bull will make good friends with the child. But children also need to be explained that any dog ​​(big or small, his or someone else’s) should be treated with respect. You can not pull it by the tail or ears, hurt, climb into a bowl with food. The American Pit Bull Terrier is a breed that loves people loyally, but it may have difficulty communicating with animals. That is why socialization is simply necessary for the pita. 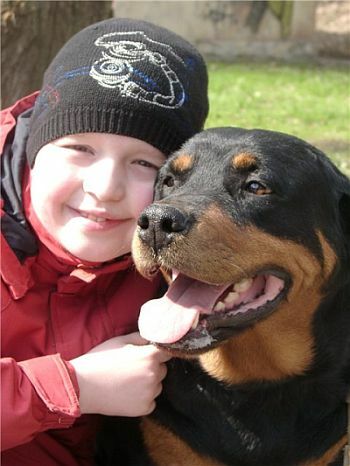 If he does not have experience with different dogs and cats, problems may arise on the street. For example, if he runs after a dog simply out of interest, and he snaps or bites, a fight may begin. This will complicate relationships with unfamiliar animals. 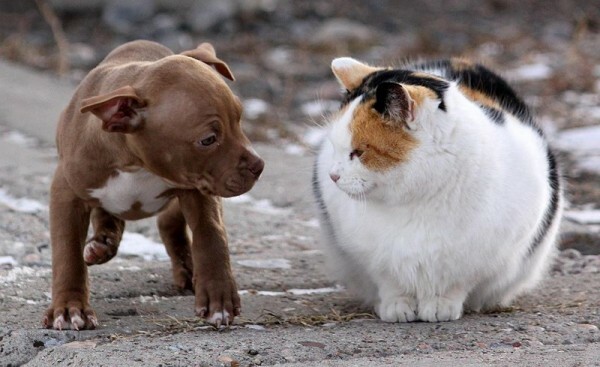 But even if the pit bull shows signs of aggression towards other animals, it will also get along well with a cat or other dogs with which it grows side by side. Although leaving him alone with a small animal in an enclosed space is not worth it. He can harm, playing, unwittingly.